Take a break from the fireplace channel and head out for some vintage Vaudeville entertainment. 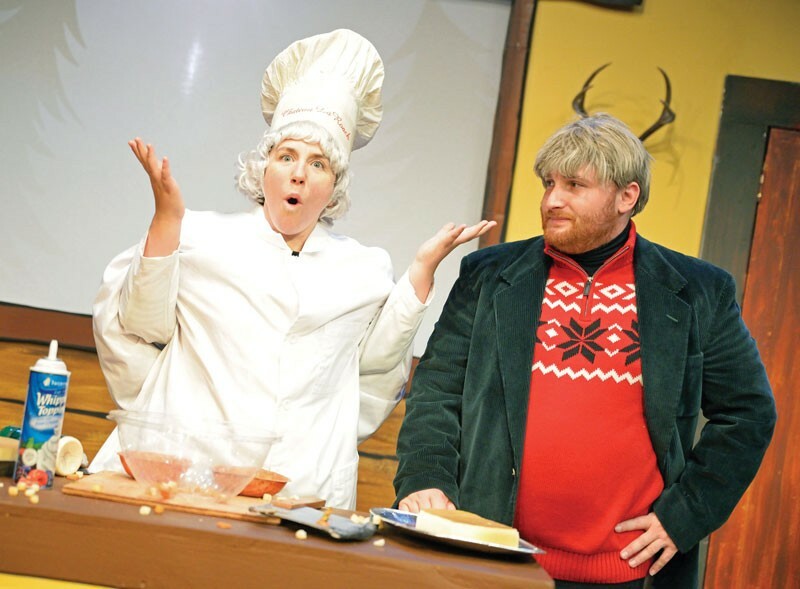 Tune in for the Bigfoot Lodge Holiday Radio Hour at the Arcata Playhouse at 8 p.m. from Friday, Dec. 11 through Sunday, Dec. 13 ($12; $10 seniors, veterans and members; $8 kids 12 and under). Some heavy hitters are signed on, from sets by Lush Newton and James Hildebrandt to Bob Wells and David Ferney paying homage to Laurel and Hardy. And Lord help the mister who comes between Joan Schirle and Jackie Dandeneau singing "Sisters" from White Christmas with music by Tim Randles (and if you haven't seen that movie yet, for the love of tinsel watch it before anyone finds out and you end up a casualty in the War on the War on Christmas). Besides, Sasquatch is set to make an appearance and seeing him on stage is warmer and less socially awkward than staking out a spot in the woods with Bobo. (Sorry, Bobo, but last weekend was weird.) Other guest stars abound, including the Arcata Interfaith Gospel Choir on Friday night, Bandemonium on Saturday and The Brendas on Sunday. You might want to call ahead for tickets so you're not left out of the lodge.